L A Moore Ltd secured the contract to demolish the former St James Street swimming pool in Coal Orchard, Taunton, for SCC. We realised that the pool held fond memories for many generations of the local community and would be sadly missed by everyone. 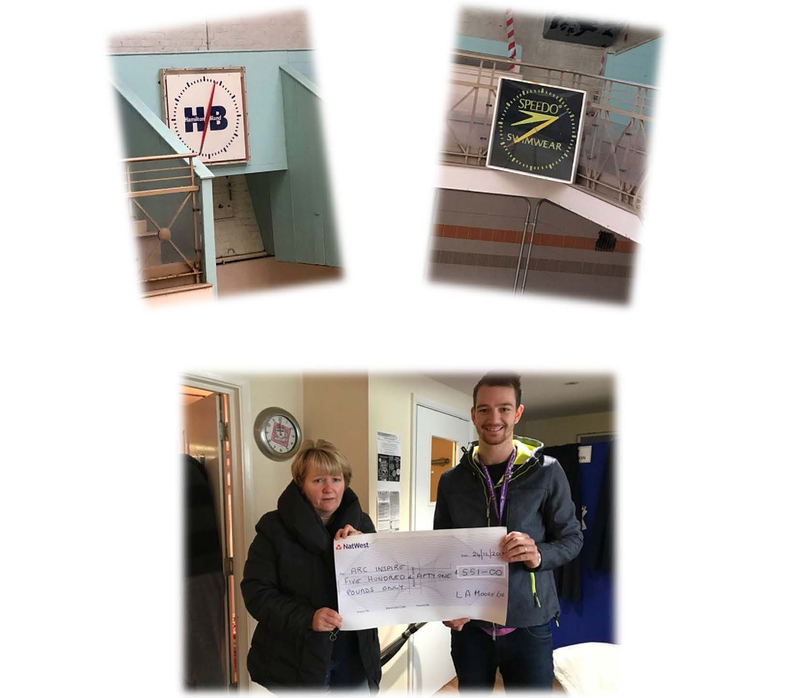 One of our team noted that within the building were two large swimming clocks that were obviously valuable memorabilia, and we decided to auction them and give the proceeds to ARC Inspire – Homeless of Taunton. We contacted Phil Hill of the Somerset County Gazette newspaper who agreed to include the clocks in his editorials to generate bids. The local radio also promoted the auction whilst on air. Two separate bids were achieved, with a total of £551 being raised. A local businessperson bid for the Speedo clock for their 87 year old father who had taught four generations at the pool, including English commonwealth swimmer Janet Franklin. 100 draw tickets were also sold for £5 each to purchase new sweatshirts as Christmas gifts to ARC’s clients. In addition to this, our suppliers, employees, friends and families donated numerous gifts to the charity, including gloves, mugs, scarves, chocolates, tarpaulins and bungee straps, and a large commercial vehicle took the items to Taunton at full capacity. Three of our Team visited Arc’s HQ on 24th December to present the cheque and donations which were warmly received. It was a very humble and rewarding exercise for everyone involved and one which we will no doubt repeat in the future and definitely went down well with the local community and our client, the local council, as it meant they too were involved in helping the less fortunate at Christmas.